There never seem to be a limit to issues about which to write involving privacy or data protection. However, I like to run a different path at times and well, when I want to run the same path as others, it may just be coincidence. Recently, we’ve had all kinds of good stuff to write about – the Wyndham decision, Microsoft slipping in tracking tools to Windows 7, voting selfies, and the Ashley Madison hack (to which I refuse to link). I just get bored. I bought this book a while back and use it in place of a personal journal. I could never consistently keep a journal – I was bored rehashing my life…it’s a recurring theme with me – blame the ADD. So I use this book and date the entries. Of course, I just randomly choose pages and topics, so the dates are interspersed throughout the book. It occurred to me that I could take this same tactic to privacy. 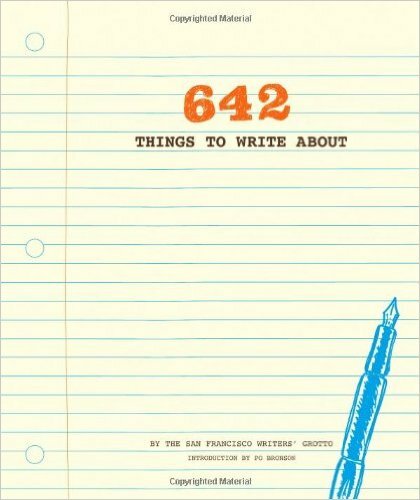 642 things to write about … in the privacy world. Sure, I’ll still highlight critical issues and add my own little commentary at times – and I’ll give HIPAA tutorials and professional advice. But, this sounds like a fun way to do it – and goodness knows what we’ll wind up with. It’ll be a fun little journey. ← FTC tireless on Consumer Beat….